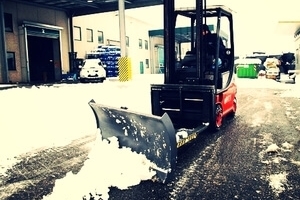 Single / Double pallet handlers can lift one pallet alone or hydraulically extend the outer forks to engage two pallets side by side. If you need additional fork length to handle specific items, fork extensions are a great alternative to switching out forks. These attachments are regularly applied to any operation that handles barrels of liquid, rolls of material, chemical tanks, or oil drums. Scoops can push, plow, or carry any loose materials like sand, gravel, snow, or recycled material. Looking for a specific attachment? Contact the Sales Team for assistance. Norlift is the authorized distributor of quality batteries and chargers from DEKA, Ironclad Superhog, and General Batteries. Contact your sales representative to discuss the benefits of our batteries' technology. Need battery or charger repair service? Our service technicians are skilled to handle all your battery and charger service needs including cell replacements, repairing worn and damaged cables, contacts, and connectors, and tightening up loose connections. We offer a planned maintenance program specifically to ensure your battery is are washed and inspected. We remove corrosion which helps improve the performance and longevity of your batteries. Contact us to schedule service on your batteries and chargers. We carry battery handling equipment and can assist you with designing and engineering a battery room for the safe handling of batteries. This equipment will help extend the life of your batteries and reduce lift truck electrical problems. Looking for specific battery related items?